Development Address: Briar Cottage, Hearse Road, Lanestown, Donabate, Co. Dublin. Development Description: Change of the use of part of existing Ground floor (Area = 29 m2) to sessional use as a Montessori pre-school. Development Address: 73 Wendell Avenue, Portmarnock, Co. Dublin. Development Description: Part demolition of the existing single storey to the side and construction of a new detached single storey two-bedroom house, new vehicular entrance and all associated site works. 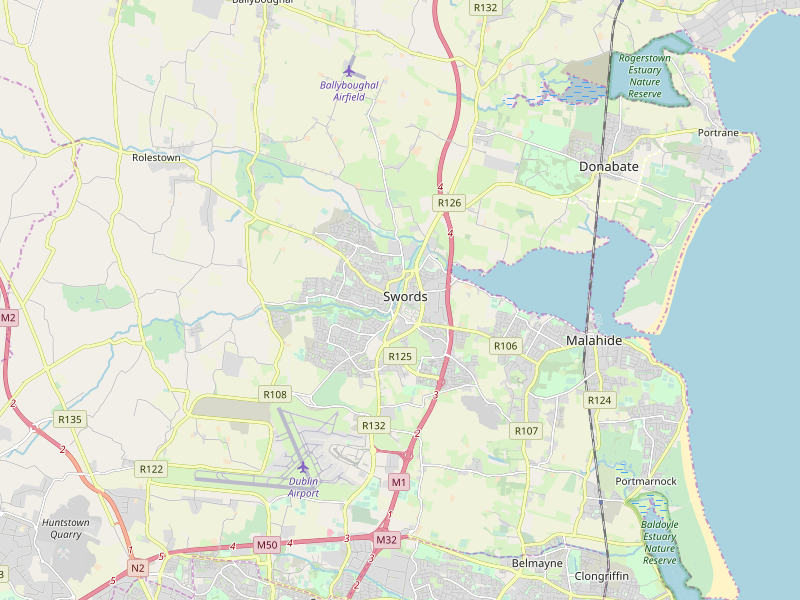 Development Address: Knocknarea, Corballis, Donabate, Co. Dublin. Development Address: Scoil Baile Falbhach, Hedgestown, Lusk, Co. Dublin. Development Description: Permission for a temporary free-standing 2-sided illuminated advertising sign related to adjacent new development, with an advertising area of 15.75sqm on each side and an overall height of 6m. Development Description: Construct bedroom extension and en-suite at first floor level attached to side of house over hall and cloak room area with pitched roof finish. Development Description: Conversion of his attic to storage including changing the existing hipped end roof to a gable end roof. Development Description: 2 No. dormer windows in place of previously approved velux windows and the addition of 3 no. rooflights to the roof of the existing house to serve the attic conversion. Development Description: The development consists of a dormer window to rear of property. Development Description: Retention Permission is sought for single storey utility room extension to side at 18 Lohunda Downs, Clonsilla, Dublin 15 for Mary O'Neill. Development Address: 123 Ard Na Mara, Malahide, Co. Dublin. Development Description: Retention of additional glazing to the rear elevation and the amendment to the height of the garage conversion to the existing family home. Development Description: An attic storage room visible from the street with a side dormer window and roof light to the front and rear of house. Development Description: A two storey extension to the side and rear of the existing dwelling and all site works.Add Info received 10th April 2019.Revised Public Notices received 10th April 2019. Development Description: Development will consist of a new ground and first floor extension to the side of the existing house extending past the rear house line by 4m and all ancillary works. Development Description: Permission for a). Change of roof profile, from flat roof profile to pitched tiled roof profile, b). All associated site works.Add Info received 6th September 2018. Development Description: A detached bungalow to rear of existing family home using existing vehicular entrance, a connection to existing foul sewer on site & associated site works in a rural cluster. Development Description: Install 250 kW of roof mounted solar PV panels and all associated works on our temperature-controlled warehouse. Development Address: The Cottage, School Lane, Corduff, Lusk, Co. Dublin. Development Address: Claremount, Coolquay, Co. Dublin. Development Description: Retention of change-of-use of existing unit to a vehicle repair and tyre service business to include associated signage. Development Description: Extension to burial ground and car park with access through existing gates, outside the protected structure area, with a new building containing meeting rooms and toilet facility. Development Description: Planning permission is sought to construct a new one and a half storey dwelling with secondary treatment plant, utilising existing vehicular entrance.Add Info received 9th April 2019. Development Address: Biscuit Makers' Factory, Ballyboughal, Co. Dublin. Development Address: Glebe, Oldtown, Co. Dublin. Development Description: Dormer dwelling to rear of existing family home site with new vehicular entrance to public road with the closure of existing entrance, waste water treatment system and all associated site works. Development Description: Permission to carry out initial preparation of the ground for afforestation, comprising of some changes to the topography levels. Development Description: Demolish existing detached garage/stores and construct a new two storey dwelling with car parking to front and connecting to existing site drainage and services to side gable of existing family home. Development Description: Change of use from retail to public house at ground floor to include for a keg store and outdoor smoking area at rear. Development Description: Permission to install 250kW of Roof Mounted Solar PV Panels and all associated works on our temperature controlled warehouse. Development Description: For a detached bunglaow using existing vehicular entrance off Golf Links Road & associated site works. Development Description: A storey & a half dwelling with vehicular entrance to public road, domestic garage, waste water treatment system & all associated site works. Development Description: For the construction of new 1,209m² Machinery Store and alterations to stormwater drainage previously granted under FCC Ref.F17A/0239, including all associated site works.